Today I am going to tell you about a really FUN, new idea that we cooked up called CVC Spinners! 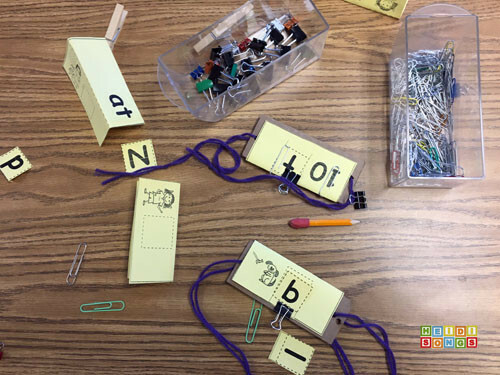 CVC Spinners are optical illusion word building manipulatives that are technically known as thaumatropes! Never heard of a thaumatrope, you say? Neither had I, but I found it when I was searching for templates for those neat spinning disks we made a few weeks ago! If you google the word "thaumatrope," you'll find that it is one of those optical illusion spinners that make it look like the the objects on the two opposite sides appear that they are together on just one side. It was my husband Greg's FAB idea to make it into a word!!! Then we added the corresponding picture, and voilá! 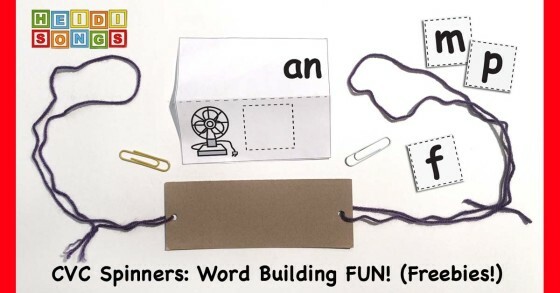 We have a brand new type of word building reading manipulative: a CVC Spinner! 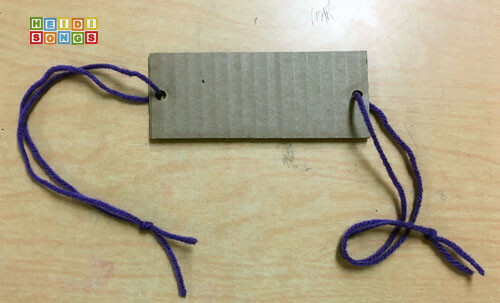 We originally made these thaumatropes for a STEM project with our book buddies one Friday afternoon a few weeks ago. I gave the children some blank paper cut to the correct size and let them fold it over the cardboard spinners. (The spinners were prepared ahead of time by a volunteer.) They wrote part of their name above the fold, and part of their name below it, and then let it spin! The children also made some thaumatropes with pictures as well! I let them choose to make one with their own pictures or color one that I made for them. It had a fox chasing a Gingerbread Man (download it free here!). They really had a wonderful time with it! So as I was watching all of those incredibly EXCITED kids playing with those spinners, it occurred to me that this would make an AWESOME word building center! What could be more fun than building a word and then watching it spin????? And one of the neatest things about it is that this could be both a science center AND a reading center at the same time, because the children would be learning about optical illusions each time they use them! 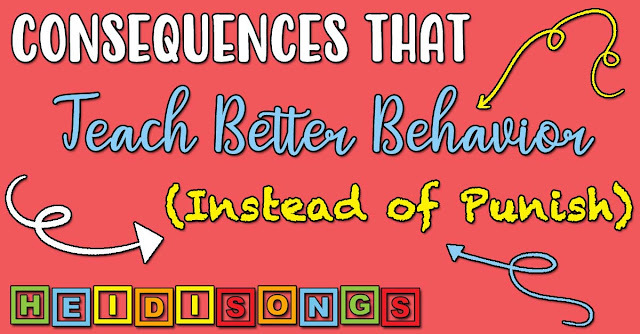 It's kind of like sticking your chocolate bar into your peanut butter: science gets better when you add in the reading, and reading gets better when you add in the science! 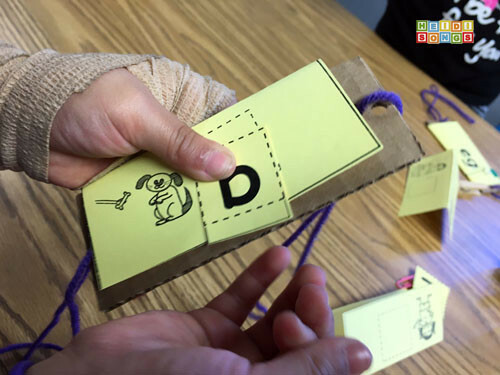 These optical illusion toys are a SUPER fun way to practice making words! Kids check their work by spinning the toy and watching for the optical illusion! If the word matches the picture, they got it right! 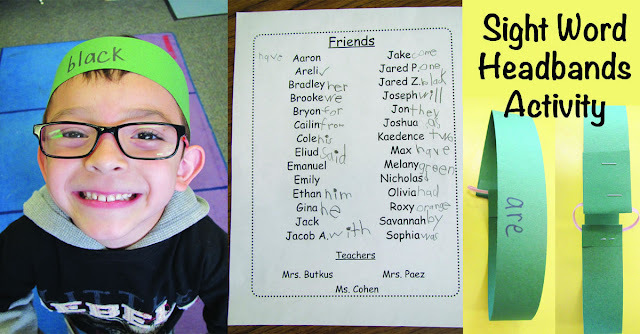 How come reading practice was never this much fun when we were kids? 1. Cut a piece of cardboard about six inches wide by 2.25 inches tall (15.24 x 5.7 cm.) The cardboard just needs to be about an inch wider and slightly taller than the paper templates, which are 5” x 2.25” (12.7 x 5.7 cm.) Then punch a hole in either end of the cardboard so that you can string a piece of yarn through it. A regular hole puncher should do just fine for this. 2. Cut a piece of yarn for each hole that is 12-18 inches long (30 - 45 cm.) Loop the string through the hole and tie a knot. Before you do more than ONE of these spinners, check to see if the length of the yarn is good for your students and that they are able to wind up and spin the spinner! (We made the mistake of making the yarn too long, making it hard for them to spin it at first.) Basically, the shorter the yarn is, the easier it should be for the children to spin. If your kids cannot spin it with a piece of yarn, try the straw method described here. Be sure to scroll down the page to find the instructions for the straw method. 3. 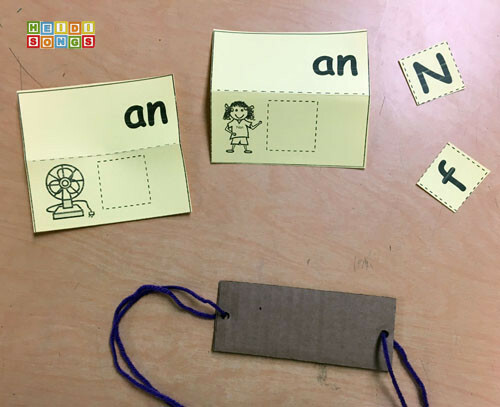 Cut out the spinner templates for the word families that you want the children to work on. Fold them on the dotted line. 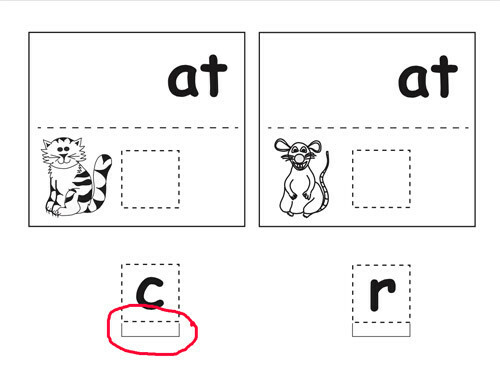 Decide if you will have the children write the missing letters onto the spaces, or if they will clip them on. If they will clip them on, you will need to also cut out the letters that are provided. 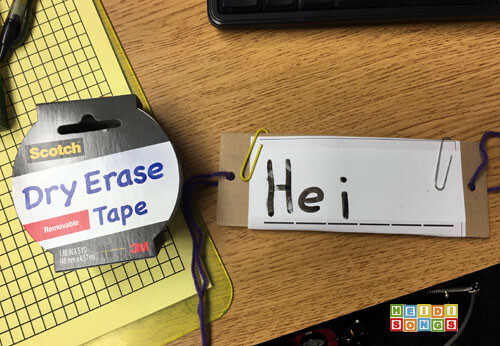 If they are going to write the letters onto the spinners, then you will need to laminate them or cover each missing letter’s space with dry erase tape. 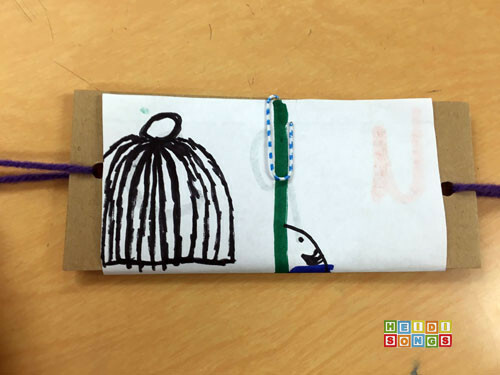 Show the children how fold one of the two sided templates over the cardboard and paper clip it on. 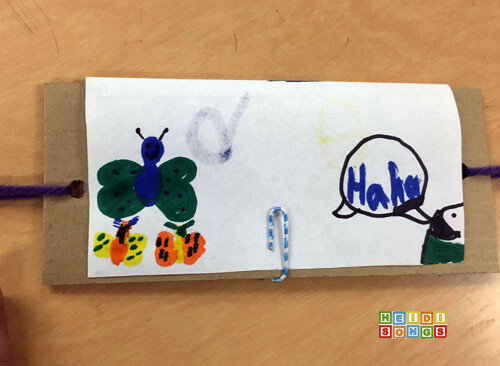 A binder clip or strong clothespin might be even easier for some children to use, as long as it does not fall off when spinning! (For me, the wooden clothespins worked just fine- but the plastic, colored clothespins from the dollar store fell right off! 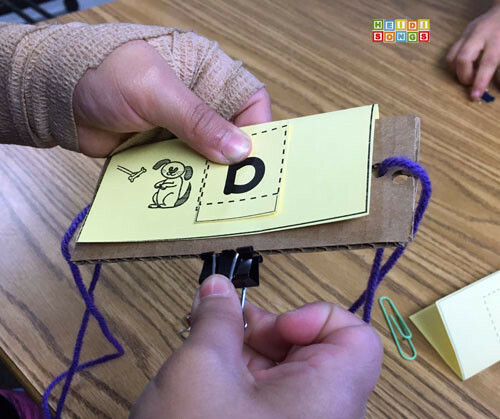 If the paper clips or binder clips are too hard to use, then just use glue!) There's a tab on the template that makes the letters easier to clip. See below. 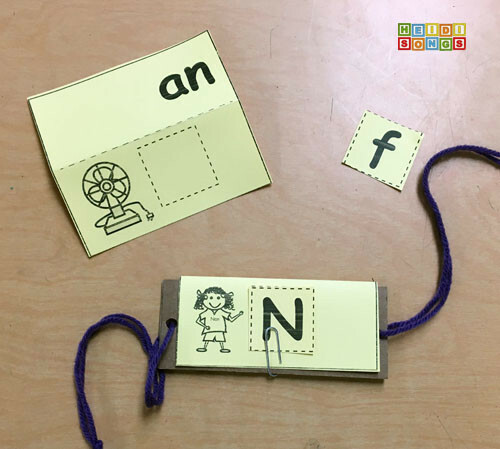 The children will need to either write the missing letter or clip/glue it on to form the word that matches the picture. Then, show the children how to “wind up” the spinner and pull outward on the strings in order to make it go! They should watch for the optical illusion and see if the word matches the picture. 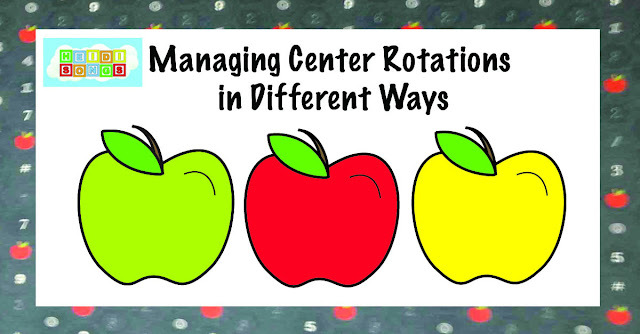 To use this for a learning center, you will only need one cardboard spinner per child that will be at the center. 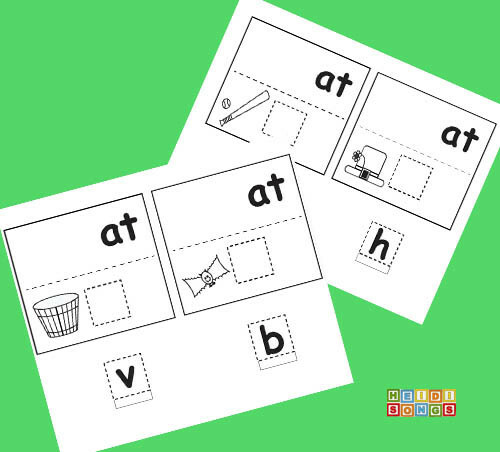 I recommend that you pre-cut and fold all of the pieces that the children will need and have them ready in a small tub or basket. Then let the children try to build the words on the spinners, matching the beginning sounds with the pictures. Then they should clip on the correct letter and spin it, reading the word as it spins! I hope you liked this idea as much as I did! Have a great week!